And even prayed . . . at school. Crist-Evans, Craig. 1999. 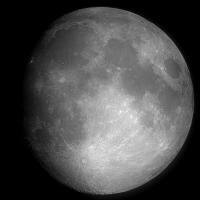 MOON OVER TENNESSEE: A BOY’S CIVIL WAR JOURNAL. Houghton Mifflin. Katz, Bobbi. 2000. WE THE PEOPLE: POEMS. Greenwillow. Meltzer, Milton. 2003. HOUR OF FREEDOM: AMERICAN HISTORY IN POETRY. Wordsong. Robb, Laura, comp. 1997. MUSIC AND DRUM: VOICES OF WAR AND PEACE, HOPE AND DREAMS. Philomel. Brenner, Barbara. 1994. THE EARTH IS PAINTED GREEN: A GARDEN OF POEMS ABOUT OUR PLANET. New York: Scholastic. George, Kristine O’Connell. 2001. TOASTING MARSHMALLOWS: CAMPING POEMS. New York: Clarion. Nicholls, Judith. 2003. THE SUN IN ME; POEMS ABOUT THE PLANET. Cambridge, MA: Barefoot Books. Singer, Marilyn. 2002. FOOTPRINTS ON THE ROOF: POEMS ABOUT THE EARTH. New York: Knopf. 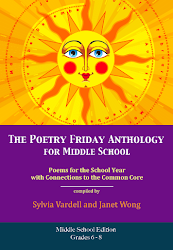 Find your favorite nature poem and take it along to read as your theme poem for your car trip or as a break on your picnic or just to share outside with kids you care about. Morice, D. 1996. THE ADVENTURES OF DR. ALPHABET. New York: Teachers and Writers Collaborative. And if you like DR. ALPHABET, look for Dave Morice’s POETRY COMICS: AN ANIMATED ANTHOLOGY, a kind of graphic novel approach to classic poems. I had the privilege of hearing Calef perform this and others of his poems at the Poetry Round Up at the Texas Library Association conference in April, as well as at the Poetry Blast at the American Library Association conference in June (mark your calendars and plan to attend both of these annual events next year). His dry, deadpan delivery was a hilarious surprise. Look for more from Calef Brown and share FLAMINGOS (Houghton Mifflin, 2006) with children of all ages—out loud for the fun of the words-- and show the illustrations to inspire both your poets AND your artists. Looking for fresh voices in poetry for young people? Multicultural poetry is experiencing a surge of publication in recent years and it’s about time! 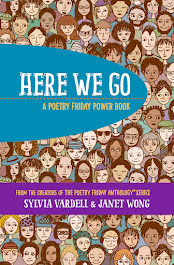 Although the works of Langston Hughes, for example, have appeared in many anthologies, poets like Angela Johnson, Pat Mora, Janet Wong, and Jaime Adoff are still new names to many readers. 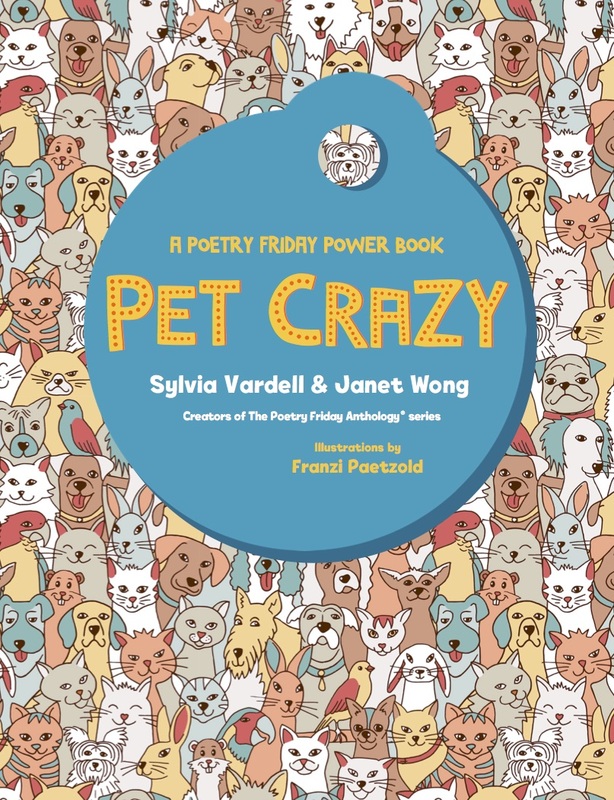 A quick survey of recent poetry titles will turn up at least 35 major poets of color writing for children today, representing most of the major micro-cultures within the United States. 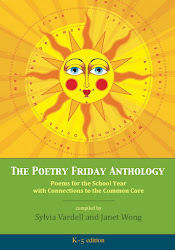 And more and more international poetry is even finding its way into libraries and classrooms in the U.S., as well. 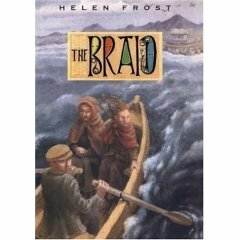 Seeking out the poetry of parallel cultures that reflects many diverse viewpoints enables us to show children firsthand both the sameness and the differences which make the human landscape so dynamic and fascinating. Poets of color are using the language, experiences, and images of their cultures in ways that are fresh and powerful. 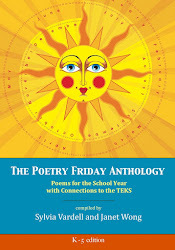 The special succinctness of poetry is also an appealing introduction into culture for young people. Sometimes powerful points about prejudice, identity, and cultural conflict can be made in a very few words. In addition, we can also rediscover our universality in the words and feelings of poems which often cross cultural boundaries. 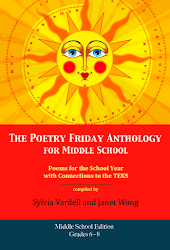 Look for the wonderful poetry of Nikki Grimes, Arnold Adoff, Eloise Greenfield, Gary Soto, Francisco Alarcon, Jose-Luis Orozco, Michio Mado, Joy Harjo, Naomi Shihab Nye, among many others! Another fun way to make poetry come alive for children is to share poems with props. 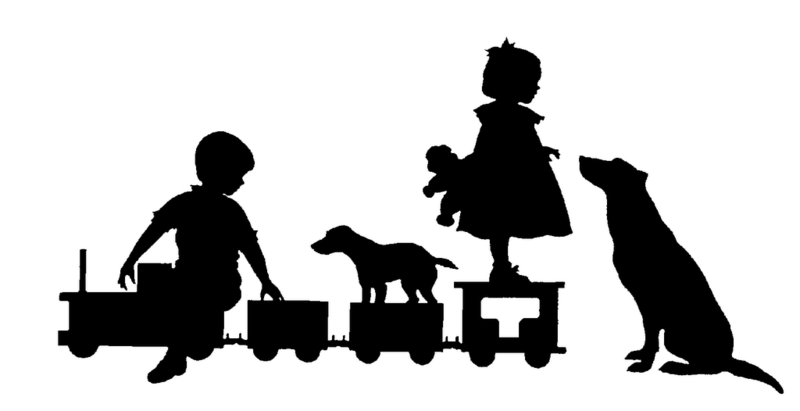 When we have an object to show or share that corresponds with the poem, it can make the poem more concrete for kids. They can see it, touch it, and experience a piece of the poem more directly. Plus, it just heightens interest and adds a bit of variety. A TWU student shares this example of how it might work. She will not want this snake! Having the snake gave Jeff a “comfort object” that helped him feel more confident speaking in front of a group. It also added interest and surprise and gave his audience a memorable moment. 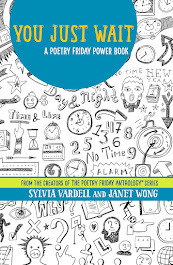 Poet Janet Wong uses a similar approach with her “poetry suitcase.” She has gathered an assortment of objects and realia that connect with some of her poems (e.g., a toy turtle, a play telephone). She asks children to choose an object, and then shares the poem that “corresponds” with that object and explains the connection. 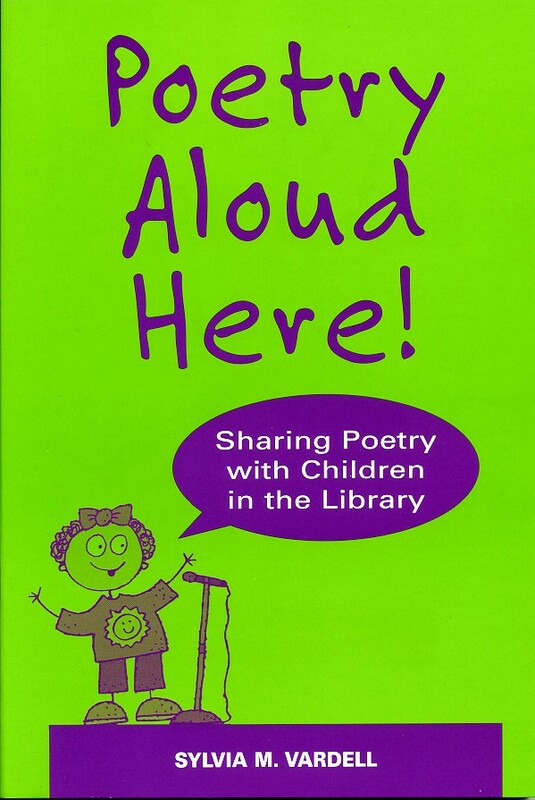 She encourages children to do the same—choose favorite poems, find related objects, and use them as props when sharing the poem. 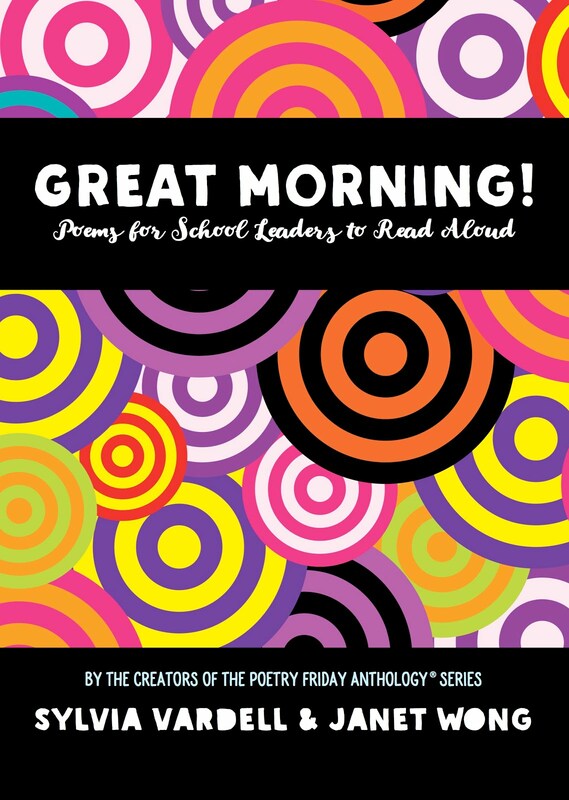 For kids who are still kinesthetic learners, sharing props means “touching” the poem! Today is the anniversary of the first human steps on the moon on July 20, 1969. I am old enough to remember getting up in the wee hours to watch the news coverage of this historic event (as a child visiting my uncle in California). We were groggy and amazed. On one of my favorite web sites, “Today’s Document from the National Archives” [http://www.archives.gov/historical-docs/todays-doc/] you can view the original flight plan for this Apollo 11 mission. And you can re-experience this event through J. Patrick Lewis’ poem, “First Men On The Moon” from his collection A BURST OF FIRSTS (Dial, 2001). Air Force Colonel Edwin E. “Buzz” Aldrin, Jr. Cold silence fell across the land. As if we too were there somehow. Collected lunar rocks and dust. One small blue planet watched in awe. Will soon forget the Moon they saw. Even with all the technological innovations that have occurred since 1969, it is pretty amazing to look at the night sky and imagine two men walking around on that shining, white orb. So many poems have been written about the moon—step outside tonight, look up at the moon, and see what happens. strong boats upon a stormy sea. Each sister emerges as a strong and individual character framed against a fascinating slice of history in two vivid settings. And each girl’s experience bridges the divide from girlhood to womanhood—thus this may be a book most appropriate for middle school readers and above. A new poem-story book not to be missed. One of the wonderful aspects of the Internet (besides blogging!) is having access to “inside” perspectives from writers themselves—when they are willing to go electronically public. And fortunately for us, many poets writing for young people maintain rich and lively web sites. Some of my favorites offer interesting biographical information, current booklists, AND ideas and strategies for connecting kids with poetry, even for promoting poetry writing. Plus, they have an appealing LOOK that engages kids. Some even offer opportunities for interaction and communication with the poet. There are book covers, photographs, and even audiofiles. These sites help budding poets see how poets live and work. 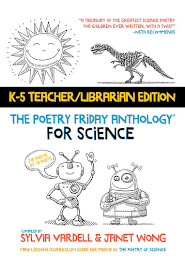 Conversely, they can also help the poetry-phobic (teacher or librarian!) feel less intimidated about poetry. It seems so friendly on the web! “Homework, Oh Homework” by Jack Prelutsky from THE NEW KID ON THE BLOCK. “Things” by Eloise Greenfield from HONEY I LOVE AND OTHER POEMS. 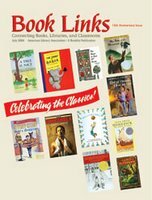 “Look in a Book” by Ivy O. Eastwick in I LIKE IT HERE AT SCHOOL, compiled by Jack Prelutsky. “If My Hand Didn’t Get So Tired” by Kalli Dakos from DON’T READ THIS BOOK WHATEVER YOU DO! “The Boa” by Douglas Florian from BEAST FEAST. Whom would you like to write like? Yesterday, my daughter asked the thought-provoking question, "If you could write like any writer throughout history, who would that be?" It led to an interesting discussion about whether one would want to be a classic like Shakespeare (and would that sell today?) or contemporary (like Updike), a woman or a man, a financial success or a cult favorite, etc. Ultimately, I chose Emily Dickinson, a personal favorite and, of course, a poet. Oddly enough, as much as I love poetry, I have rarely aspired to WRITE poetry myself. But I would love to write (anything) with the economy, power, and surprise of her poetry. I admire her phrasing so much, the careful word choice, the very timeless feeling of her ponderings. And many of her works are accessible to children, even today. Here's one example, just as a reminder. I love this poem for so many reasons, not the least of which is its reminder of the power of the spoken word (poetry aloud!). Getting started: POETRY ALOUD HERE! Chapter 1: Why Make Poetry a Priority? Chapter 2: Which Poets are Popular? Chapter 3: What Poetry do Children Enjoy? Chapter 4: How do you Promote Poetry? Chapter 5: How do you Present Poetry to Children? Chapter 6: What Happens After You Share the Poem? 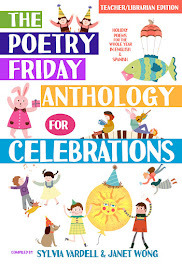 Ten children's poets contributed original poems and essays, too, including: Pat Mora, Jack Prelutsky, Janet Wong, Douglas Florian, Lee Bennett Hopkins, Nikki Grimes, Brod Bagert, J. Patrick Lewis, Marilyn Singer and Naomi Shihab Nye. 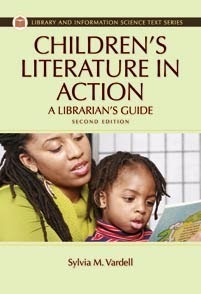 Lee Bennett Hopkins said it "should be part of EVERY teacher/librarian's bookshelf."